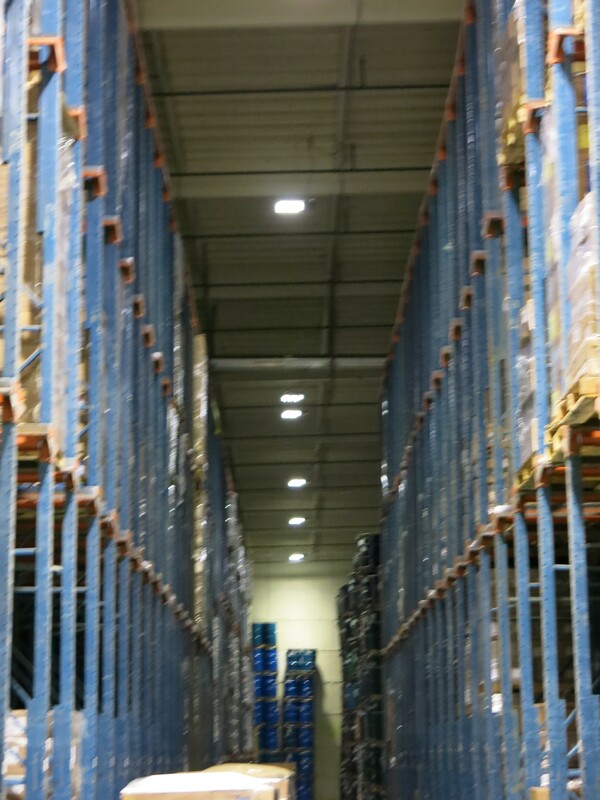 Carlos R. Vasquez, Hilltop Warehouse Manager, improved his cold storage bay lighting with LED High Bay fixtures and controls from Digital Lumens. Vasquez evaluated LED High Bay fixtures ability to improve the light distribution, dimming, color and reliability over his two previous generations of lights; High Pressure Sodium and fluorescent. His application was challenging: the bays are cold, the ceilings are about 36 feet high, the light has to allow the forklift operators to read the labels vertically, the occupancy sensors have to be able to respond to forklift speeds. 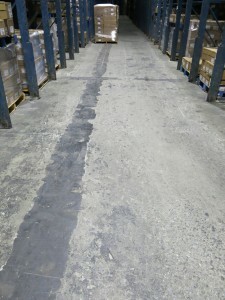 All this while remaining energy efficient, reliable and cost effective. Upon completion of the evaluation he chose ILE-3-13 Intelligent LED High Bay fixtures from Digital Lumens. 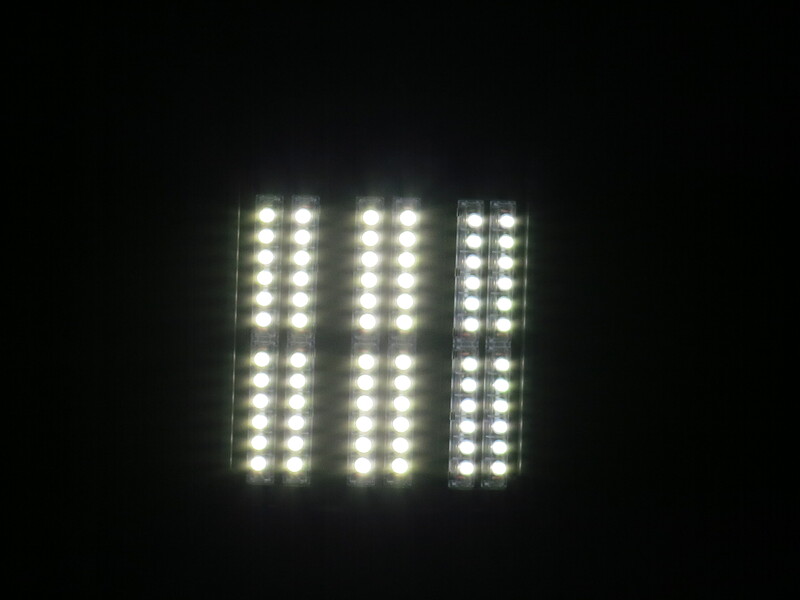 LEDs are efficient at low temperatures and ILE -3-13 is rated to operate from -40F to +122F allowing it to meet the cold requirements. The light contains an integrated occupancy sensor. The lights are dimmed to 10% when the bays are unoccupied and come on two at a time when occupied, saving additional electricity. See photo above for 10% dimmed lights. Note the uniformity of light along the height of the shelves Vasquez said the response time of the occupancy sensors meets the requirements of the forklift drivers. The ability to provide the proper beam shape and lighting for the aisles is done with three independently amiable and fully dimmable light bars within the light. 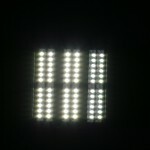 The 5000K ILE-3-13 puts out 13,000 lumens at 138 Watts. Monitoring and controlling the lights is done wirelessly through the integrated Zigbee radio. Having the occupancy sensor and Zigbee radio integrated into the light fixture was a plus in choosing this light. The light is uniform along the floor. The further out lights are dimmed to 10%. The brightness, beam spread and color temperature allows easy reading at the bottom of the shelves. The 108 lights have been installed for almost a year and Vasquez is satisfied with his decision to install LED lights and wireless controls from Digital Lumens.